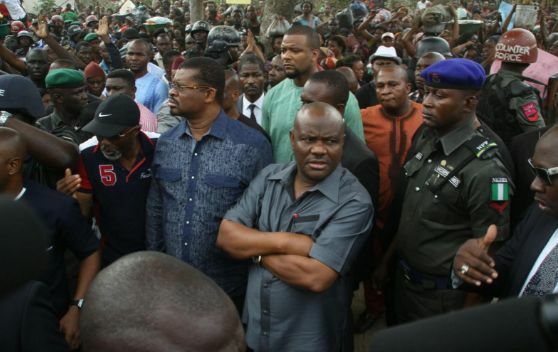 As the casualty figures from the bloody re-run Rivers State national and Legislative elections begin to emerge Sunday, security authorities have confirmed that a Deputy Superintendent of Police (DSP Alkali Mohammed) and his orderly were killed and beheaded during an ambush at Omoku. The officer, who was leading about 12 Mobile Police officers of MOPOL 48 on election security duty was said to have run into heavy gunfire attack. Three (3) of the Police officers escaped while 5 police officers are still missing in action. The attackers went away with the police patrol vehicle containing arms. Oriental Times recalls that it is at the same area in Omoku, Onelga LGA that soldiers of 34 brigade were ambushed on 20th November 2016 and one soldier was killed.